Last year, it seemed like everyone was preoccupied with the popularity of cryptocurrencies. Most people could neither believe that they were so valuable and they were overwhelmed by the sheer breadth of the industry. For nearly twelve months, crypto retained the world’s attention, and they gave it quite a show. As the calendar changed and the new year arrived, crypto markets took a dip and people’s attention quickly shifted to blockchain technology that powers digital currencies. The blockchain has long been lauded as a transformative and disruptive technology with significant implications for virtually every industry. Many of the blockchain’s features like its decentralized networking, embedded smart contracts, and ubiquitous reliability are the features that present the security and capability improvements that many companies seek. The blockchain received glowing endorsements from a cadre of industry and thought leaders. IBM CEO, Ginni Rometty, predicts that “What the internet did for communications, blockchain will do for trusted transactions.” In addition, notorious crypto skeptic, Jamie Dimon, expressed confidence in the blockchain’s importance to the future of computing, describing it as “real.” His word choice may be muted, but it constitutes as high praise from an industry CEO reticent to embrace new technologies. Several major corporations joined IBM and JP Morgan Chase to pursue blockchain adoption. BP, Cisco, Intel, Microsoft, and Mastercard are all engaged in the research process. Of course, blockchain technology isn’t just reflected in the interest of major corporations. One of the most significant contributions to the blockchain movement is the dozens of new blockchain-based companies that are creating a compelling ecosystem that’s offering exciting additions to the tech space. Here are some of our favorite new platforms are distinguishing themselves among the startup elite. 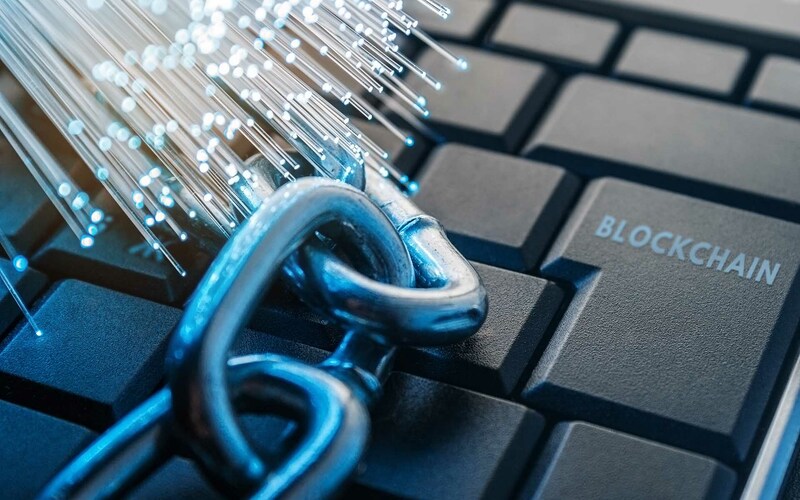 Although the blockchain receives high endorsements and nearly every business seems to be looking for ways to integrate it into their workflow, it does have its limitations. It’s been dogged by problems with scalability and speed, and the most popular platforms, Bitcoin and Ethereum, have dealt with these issues at repeatedly in the past year. That’s where Skycoin is striving to make a difference. It’s fronted by some of the earliest contributors of Bitcoin and Ethereum, and their goal is to make the most advanced blockchain application ecosystem in the world. Their company boasts several unique technologies including a web of trust consensus algorithm, an infinitely scalable blockchain, and an ecosystem intended to rival or supplant Ethereum’s. It just may be the most capable blockchain yet, and it may allow the blockchain ecosystem to thrive like it hasn’t yet been able to. Most new blockchain companies are funded through the Initial Coin Offering (ICO) process that can be incredibly lucrative and efficient. To date, nearly $10 billion has been raised for these companies. However, impending government regulation and a cluttered ICO market are rightfully causing many to question the ICOs sustainability. Blockhive is giving new blockchain startups an alternative fundraising mechanism that harnesses the investor interest in the technology and that utilizes the blockchain’s smart contracts to create a cohesive lending system. With Blockhive, anyone can contribute to a blockchain startup in a measured and meaningful way. Creditors are entitled to 20% of the annual operating profits from the Blockhive community, so they are incentivized to pursue and invest in the most promising products available. This should help weed out the less realistic projects while also stabilizing the fundraising mechanism, so it isn’t overrun with speculators trying to buy the next Bitcoin. Many companies struggle to implement blockchain technology because they don’t have the developer talent to generate capable blockchain applications. In doing so, Lisk makes the blockchain more accessible as companies or individuals can easily develop new applications using a language that they are already familiar with. This should bring more people to the blockchain, and it should increase the rate at which new products are brought to market. By eliminating the learning curve, Lisk is leveling the playing field so that more people can benefit from the blockchain. As investor and institutional attention turn to the blockchain, new companies and platforms are blazing a trail of entrepreneurial zeal and gusto that is inspiring and opportunistic. In particular, these companies are changing the way we do blockchain by making the technology better for everyone who uses it. Do you agree with the projects listed here? Are there other projects that are changing the face of blockchain? Let us know in the comments below.